According to Forrester, brand engagement on Instagram was 10x higher than Facebook, 54x higher than Pinterest, and 84x higher than Twitter. With an average of 95 million photos and videos uploaded to Instagram each day suggests that it’s a very good reason to make sure your Instagram strategy stands out from the crowd. Here’s a few suggestions on how to re-think your Instagram strategy. Because Instagram is the most visual social network, every image you upload should be a part of a cohesive visual experience. This should encompass consistent content but how that content is styled visually, from composition to color. Tour visual style is key to conveying who your brand is and what your brand stands for. Have a look at nearly every photo on Coca-Cola’s Instagram features the brand’s signature red. Whereas Slow & Low whiskey, uses the same font as on their packaging. This consistency ensures that when a photo appears in a fan’s feed, there’s instant brand recognition. With over 40 billion photos and videos to look at on Instagram, no one has time for a grainy, dark, or cluttered photo. When planning your next photo shoot, whether in studio or at site-specific locations, set aside all of the photos from the shoot and create a batch of photos that can be used over a month’s Instagram content in one day. This will save time and money while creating a cache of images that can be scheduled in advance, and supplemented with real-time captures. Mailchimp is creates colorful, playful photography that brightens up any feed and is a natural fit. Keep your fans and followers engaged with a varied content mix. An easy way to do this is to divide your content editorial calendar into multiple content buckets that all ladder up to your overall brand story. Variety is great when it comes to content types, but when it comes to your content cadence, a consistent publishing schedule is necessary, whether that means 2x a day or 5x a week. Bay Area design studio Most Modest as an example: scrolling through Most Modest’s feed reveals a handful of distinct content types: product shots, workshop/process shots, close-up detail shots, and lifestyle shots, all of which combine to tell the story of a brand devoted to thoughtful details, a modern, playful aesthetic, and functional design, that takes pride in their team and community. Hashtags are an important part of the Instagram ecosystem; they can build your community, increase your engagement, and grow your followers. Instagram allows up to 30 hashtags per post, but for many brands a best practice is under 10. Whole Foods uses niche hashtags that are specific and relevant. For example, on a Whole Foods post featuring butternut squash curry, you’ll find widely-used hashtags like #fall (30+ million images) #Organic (16+ million images) alongside #SquashGoals, which pulls in less than 2K images. This mix ensures that Whole Foods’ post is included both in wildly popular hashtag collections, and in smaller collections of creative hashtags where it has a better chance of standing out. Branded hashtags can help create community among your fans, and can be the perfect way to encourage and consolidate user-generated content. Branded hashtags don’t need to be limited to the traditional form of a brand name (#KitKat) or tagline (Kit Kat’s #HaveAbreak). By creating original hashtags relevant to imagery that moves beyond product-specific callouts, brands can attract a wider audience by displaying the lifestyle ethos behind the product. Herschel Supply Co., a Canadian manufacturer of backpacks, bags, and travel accessories has had tremendous success with this route – in March, 2015, they launched an Instagram contest calling for photos celebrating “unique design stories from urban landscapes around the world” using the hashtag #CityLimitless. Two years after the contest closed the hashtag still thrives on Instagram today with 551K+ photos creating a continuous source of on-brand UGC for @HerschelSupply to pull from, amplifying engagement and leveraging authentic interaction. 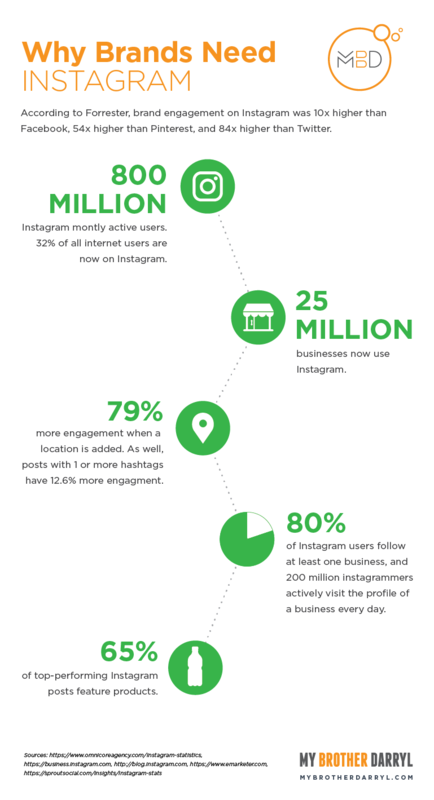 On Instagram, as on all social, a little strategy goes a long way.